Regardless of the size of your organization maintaining your unified marketing collateral can be an overwhelming task at times. Keeping digital files, printing, images, lists, artwork, branding and inventories up-to-date and accessible can be expensive and time consuming; also, a process that too often falls short of expectations. 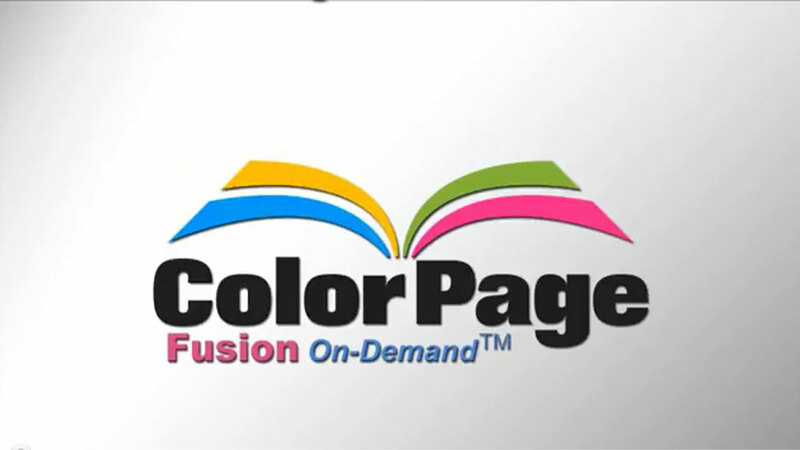 ColorPage offers a leading marketing on demand solution, (Fusion On-Demand) that helps enterprises centralize their marketing materials in a private digital storefront. There they can automate a variety of marketing, creative, fulfillment and distribution processes using an integrated web-based marketing portal. Video demonstrates two example digital storefronts. Fusion On-Demand enables users to customize content and imagery within marketing materials to the specifications that maintain the company’s brand guidelines. Intelligent associations for content selections mean that the right division uses the right imagery, with the right headline. Intelligent marketing templates help the field produce customized pieces in an automated fashion without lengthy and tedious creative processes. Marketing collateral can be versioned and mass produced for a local market, or tailored to an individual for the ultimate customer experience. Automate creative, marketing, and fulfillment processes through a unified platform to optimize operations efficiency. Free up your marketing resources by eliminating processes such as collateral versioning requests, pricing estimates, and lengthy approval cycles. Centralize materials and assets with a united marketing resource center built specifically for your organization. Authorized personnel such as sales reps, field marketers, agents, brokers, franchisees, or partners can have unique permissions and roles to provide a completely customized experience. Improve customer engagement with personalized marketing campaigns that use rules to deliver unique content to each recipient. Whether it’s a personalized brochure, or a postcard campaign personalized by a database, 1-to-1 marketing pieces are sure to drive results. Significantly reduce costs by automating marketing processes, streamlining marketing workflows, and reducing obsolete collateral. Integrated workflows, along with the ability to create customized marketing pieces on demand, considerably reduce overall marketing costs. Manage and consolidate the ordering and distribution processes of marketing materials by connecting to internal ERP, CRM and marketing automation systems, corporate fulfillment vendors, and virtually all external 3rd party applications for completely integrated workflows. Reduce the time to request and produce marketing materials by automating workflows and processes that deal with content, imagery, and production of marketing collateral. Global rebrands can be accomplished in a single day with Fusion On-Demand to accelerate brand adoption.